Hawkeye has been a longtime Avenger and Marvel fan favorite. Time to see what secrets may lurk in Clint Barton’s quiver. So sit back and enjoy as Ashley and Jason begin their lesson. You might learn something. Enter your Mind University! Be careful! This podcast contains SPOILERS. So if you don’t want to know what happens, then you should come back later. You can help support the show by buying a Geek History Lesson T-Shirt! Go to http://bit.ly/JawiinShirts! Listen on Itunes or Stitcher. 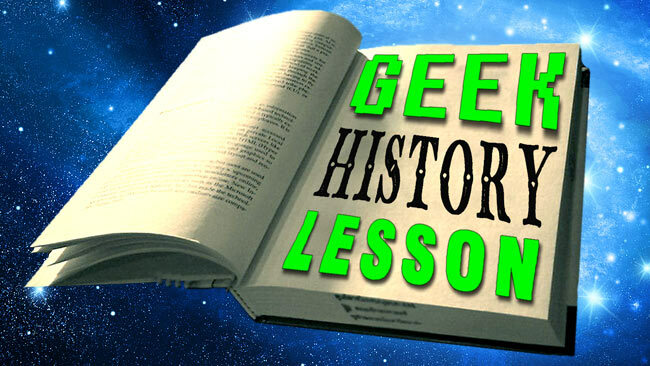 Make sure to visit our Facebook fanpage: facebook.com/geekhistorylesson and our Tumblr: geekhistorylesson.tumblr.com for the latest news on episodes and more geek facts. You can find Ashley on Twitter @AshleyVRobinson and Jason on Twitter @Jawiin. Thanks for showing up to class today. Class dissmissed! Previous ArticleMunchkin Land #119: Love Shark Baby! Born in the land of Superman and now living in Los Angeles, Jason is a simple man who one day dreams of writing a scene where Superman punches the moon. He's worked for many companies including Walt Disney, 20th Century Fox, and Youtubers Rhett & Link. During his ever escaping free time, he produces content for his award winning Youtube channel while reading more comics than any one man should in a week.